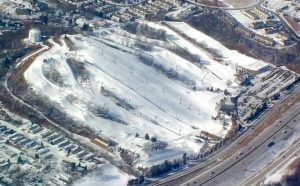 Burnsville, MN – The mother of an 8-year-old girl has sued Buck Hill ski area in Minnesota over serious injuries sustained in an incident involving one of the resort’s rope tows. Tina Graham, of Minneapolis, filed the lawsuit in Hennepin County District Court on Wednesday on behalf of her daughter, Elisa Onica Graham. Even though a rope tow is a surface lift, the lawsuit contends that Elisa failed to let go of the rope when she reached the top of the lift in January 2015, which has its top bullwheel sited atop a tall pole. Elisa was lifted off the ground, and when her skis struck the pole she dropped a reported 40 feet to the snow below. 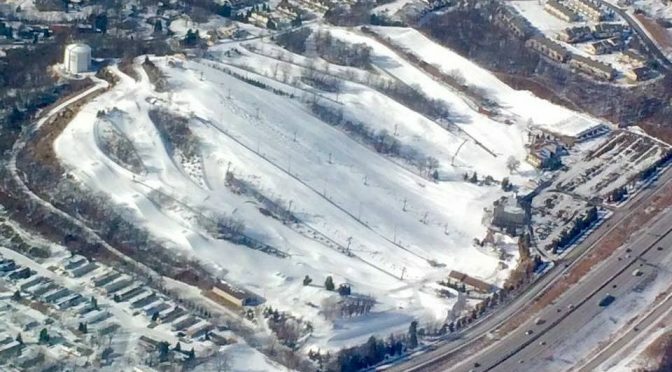 The lawsuit alleges that the lift’s operator was not present at the top shack at the time of the incident, and was therefore unable to stop the rope tow when Elisa passed the unloading area. According to the complaint filed in the case, she was hospitalized for 11 days for treatment of a fractured leg, pelvis and wrist, and a damaged spleen. Medical bills are claimed to exceed $145,000, and attorneys are seeking an additional $50,000 in general damages. Buck Hill was under different ownership at the time of the incident, but one of its principle owners — Don McClure — was the resort’s general manager under the previous ownership.